The Pittsburgh Pirates visit Comerica Park on Thursday, August 10, 2017 to play the Detroit Tigers. The probable starters are Gerrit Cole for the Pirates and Drew VerHagen for the Tigers. The opening line for this matchup has Pittsburgh at -143 and Detroit at +133. The Pirates have a 45-63-5 over/under record and a 59-54-0 run line mark. The Tigers are 55-57-0 against the run line and have a 58-48-6 over/under record. The Pirates have a 56-57 overall record this season. Starting pitcher Gerrit Cole has a 9-8 record with an earned run average of 4.00 and a WHIP of 1.27. He has 125 strikeouts over his 139.2 innings pitched and he's given up 142 hits. He allows 9.2 hits per 9 innings and he has a FIP of 4.21. The bullpen has an earned run average of 3.74 and they have given up 363 base hits on the year. Teams are hitting .245 against the bullpen and they've struck out 344 hitters and walked 142 batters. As a team, Pittsburgh allows 9.2 hits per nine innings while striking out 7.6 batters per nine innings. They are 10th in the league in team earned run average at 4.13. The Pirates pitchers collectively have given up 1038 base hits and 466 earned runs. They have allowed 123 home runs this season, ranking them 25th in the league. Pittsburgh as a pitching staff has walked 324 batters and struck out 854. They have walked 2.9 men per 9 innings while striking out 7.6 per 9. They have a team WHIP of 1.34 and their FIP as a unit is 4.11. As a team Pittsburgh is hitting .247, good for 24th in the league. The Pirates hold a .392 team slugging percentage and an on-base percentage of .324, which is good for 16th in baseball. They rank 24th in MLB with 8.4 hits per game. Josh Harrison is hitting .278 with an on-base percentage of .351. He has 112 hits this season in 403 at bats with 37 runs batted in. He has a slugging percentage of .427 and an OPS+ of 104. 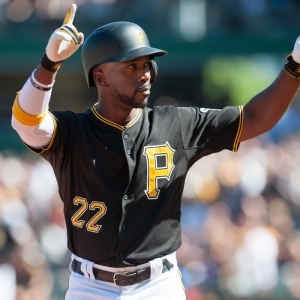 Andrew McCutchen is hitting .293 this year and he has an on-base percentage of .386. He has totaled 117 hits and he has driven in 70 men in 399 at bats. His OPS+ is 137 while his slugging percentage is at .526. The Pirates have 949 hits, including 180 doubles and 108 home runs. Pittsburgh has walked 381 times so far this season and they have struck out 815 times as a unit. They have left 814 men on base and have a team OPS of .715. They score 4.26 runs per contest and have scored a total of 481 runs this year. Detroit has a 51-61 overall mark this year. With an earned run average of 5.00, Drew VerHagen has a 0-1 record and a 1.11 WHIP. He has 4 strikeouts over the 9 innings he's pitched. He's also given up 8 hits. He allows 8 hits per nine innings and his FIP stands at 8.69. The bullpen has an earned run average of 5.23 and they have given up 343 base hits on the year. Teams are hitting .257 against the Tigers bullpen. Their relievers have struck out 308 batters and walked 149 opposing hitters. As a team, Detroit allows 9.5 hits per nine innings while striking out 7.6 batters per nine innings. They are 28th in the league in team earned run average at 4.9. The Tigers pitchers as a team have surrendered 1039 base knocks and 536 earned runs this season. They have given up 144 home runs this year, which ranks 12th in Major League Baseball. Detroit as a staff has walked 366 hitters and struck out 836 batters. They give up a walk 3.3 times per 9 innings while they strike out 7.6 per 9. Their team WHIP is 1.43 while their FIP as a staff is 4.58. As a team, they are batting .257, good for 12th in the league. The Tigers hold a .423 team slugging percentage and an on-base percentage of .329, which is good for 10th in baseball. They rank 11th in MLB with 8.8 hits per contest. Justin Upton comes into this matchup batting .274 with an OBP of .361. He has 106 hits this year along with 78 RBI in 387 AB's. He maintains a slugging percentage of .519 with an OPS+ of 133. Miguel Cabrera is hitting .251 this season and he has an OBP of .337. He has collected 90 hits in 358 at bats while driving in 53 runs. He has an OPS+ of 99 and a slugging percentage of .408. The Tigers as a unit have 984 base hits, including 201 doubles and 130 homers. Detroit has walked 386 times this year and they have struck out on 909 occasions. They have had 770 men left on base and have an OPS of .752. They have scored 4.75 runs per game and totaled 532 runs this season. 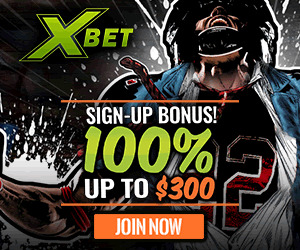 Who will win tonight's Pirates/Tigers MLB game against the spread?